Brazilian police have reportedly recommended that Olympic swimmers Ryan Lochte and James Feigen be indicted for reporting a false crime, according to ABC News. Lochte, Feigen, and two other swimmers — Jack Conger and Gunnar Bentz — had claimed that they were robbed at gunpoint in a taxi in Rio during the Games; however, Brazilian police said this never happened and that the swimmers had instead vandalized the gas station. Lochte and Feigen haven't been indicted, as local prosecutors have not yet decided to act upon the police's recommendation. "No robbery was committed against these athletes," Civil Police chief Fernando Veloso said on Thursday during a news conference. "They were not victims of the crimes they claimed." Veloso said that surveillance footage from the gas station in question shows that no robbery took place, and suggested that the swimmers fabricated the tale in order to cover up for their own alleged vandalism of the gas station's bathroom. It was reported Wednesday that a Brazilian judge had ordered the seizure of Lochte and Feigen's passports, but Lochte had already flown back to the United States earlier in the week. Feigen is believed to still be in the country, according to CNN. Bentz and Conger were set to leave on Wednesday night, but Brazilian authorities removed them from their plane before takeoff and ordered them not to leave the country until police questioned them about the incident. "Jack Conger and Gunnar Bentz were detained Wednesday night shortly before their flight was scheduled to depart from Rio," Olympic spokesperson Patrick Sandusky said in a statement, as reported by USA Today. "They were released by local authorities with the understanding that they would continue their discussions about the incident on Thursday. James Feigen is also communicating with local authorities and intends to make further statements regarding the incident on Thursday as well. We will continue to provide updated information as it is appropriate." During an interview later in the day on Aug. 14, Lochte told NBC that he and the other swimmers had used the gas station's bathroom early Sunday after a long night out, and were robbed in their taxis on the way back by men who presented themselves as police. But Judge Keyla Blank, who ordered the seizure of the swimmers' passports, cast doubt on this account, noting apparent contradictions and discrepancies between Lochte's and Feigen's testimonies. 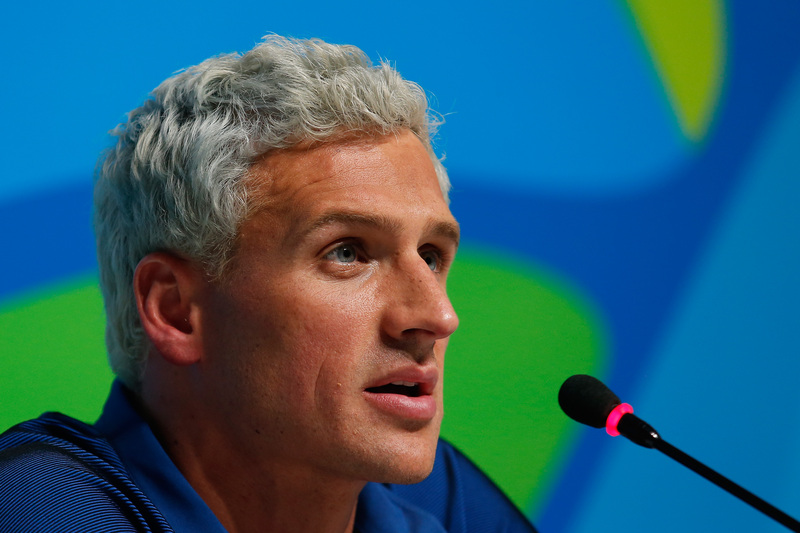 According to CNN, Velosa said that, in fact, the swimmers had vandalized the gas station's bathroom that night and that Lochte got into a drunken confrontation with security guards. The swimmers did pay for the damage to the bathroom on the night of the incident, Velosa said, so it's unlikely that they will be charged with property damage.